All Harry Stone families and friends, please come join us Friday, November 3, 6-8 PM for Family Fun Night. Harry Stone’s Fall Book Fair is coming! Times: 8:00 a.m. – 4:30 p.m.
PTA Family Night: 6:00 p.m. – 8:30 p.m.
Want to be a Book Fair volunteer? Find your school, click “View Fair Homepage,” and select the volunteer button. Please join us for Harry Stone’s Open House to kick off the 2017-18 school year. Come greet the teachers and staff, and see the rooms. Students are encouraged to bring up supplies so you don’t have to worry with it the first day of school. The Open House will run from 5:30-7:00 PM, this Thursday. Throughout the year, all 4th and 5th graders have been listening to a variety of music including ballet, opera, orchestra, band, and piano solos. They have been learning about the different instruments, composers, and history of each piece. After taking quizzes and a final exam on 16 specific pieces, 12 students (6 from each grade) placed in the top of their class (combined music, piano, and orchestra students). These students will travel to the Meyerson Symphony Center on Tuesday, April 25, 2017 to hear the Dallas Symphony Orchestra perform live excerpts from these pieces in which they will identify the name and composer. Each team will compete against the other groups from their grade level across the district for the chance to win first place and a trophy. They will even get to hear two full pieces for a mini concert along with the opportunity to compete. This is the first year HSMA will go to this competition! Posted on December 6, 2016 by admin | Comments Off on School play this week! Comments Off on School play this week! This Wednesday, Dec 7, from 5:00 – 7:00 PM, the Perot Museum is coming to Harry Stone for Family Science Night. Come out and learn to conduct awesome science experiments with your family. Learn and have fun together! On Friday, November 6, 2015, Harry Stone will be having its annual Career and College Day. Members of the community are invited to share information about careers and higher education. The event will be held from 9:00 am -12:00 pm. If you’re interested in joining us in this endeavor, please complete the Career & College Day Request Form and Career Day Volunteer Application. Both links are provided below and will only take about 5 minutes to complete. Please respond no later than Friday, October 30, 2015. If you have problems viewing or submitting the forms, please contact me at 972-794-3407. Refreshments and lunch will be provided from 8:30-1:00 p.m. Explanation of your job-describe your job emphasizing work hours, job duties, special training education needed, length of employment, employer, etc. Background and Experience – place an emphasis on pride in self, and school. If you had any obstacles/barriers you had to overcome to get where you are today, please share with the students. Set Up & Preparation – event will be held in the large gym-expo style. Each session is 20 minutes- 15 for the presentation and 5 for Q&A. The class size is 15 to 22 students in grades PreK-8. Students will rotate to various speakers every 15-20 minutes. If possible, bring samples of visual aids or tools you use. Children are very visual. Harry Stone will be hosting an Open House on Thursday, August 20th, from 5:30 to 7:00 PM. The last PTA meeting of the year is tomorrow, Tuesday, 6/12 @ 6:30 PM. Please come join us. 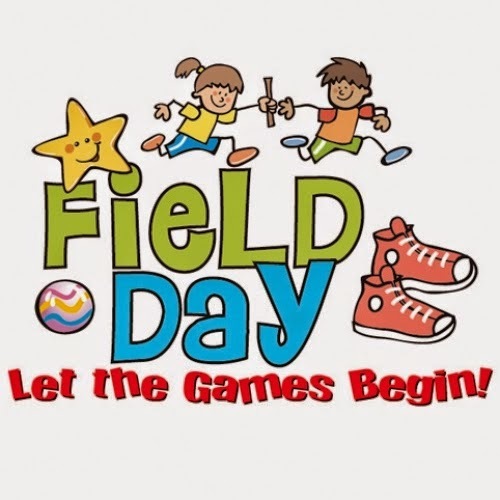 On Monday, June 1, 2015 we will be having our annual PK-5th Grade FIELD DAY from 9:00 am to 2:00 pm. We are needing volunteers to assist with the Field Day Stations. There will be all types of Field Day Stations from sack races, bean bags, hula hoops, footballs, Frisbees and even a water break station. Volunteers are needed to assist with the stations to ensure that the students can experience what Field Day truly is! Sign up sheets are posted in the main hallway on the Media Center side windows. Any assistance will be greatly appreciated! Let’s make this Field Day a HUGE success! If you have any questions, please see Coach Hockenberry or Coach Simon.